When I watched the play last night I was crying. It’s okay to [lose] a game, you don’t always have to win a game. A second grader has some uplifting words for Philadelphia Eagles wide receiver Alshon Jeffery, who took the blame for the team's season-ending loss against the New Orleans Saints on Sunday. 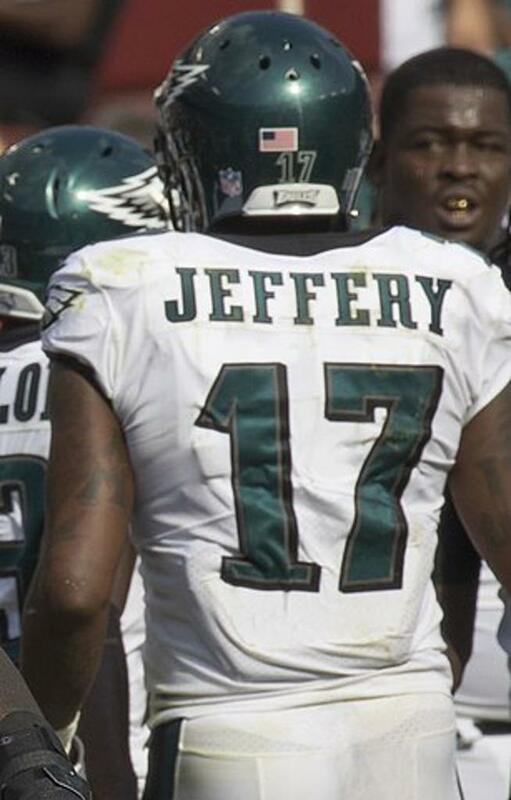 "I let my teammates down ... that's on me," Jeffery said following the Eagles' 20-14 loss. Abigail Johnson, 8, says she is a huge Eagles fan and watched in disbelief. "He was probably crying and thinking to himself I probably let my team down, and now I feel like I'm a bad player to my team," Abigail said. While pundits returned to their usual Monday morning quarterbacking, Abigail turned to a creative writing assignment in school. Raymond Johnson, a pastor and father of four from West Chester, shared the letter that Abigail wrote on Twitter.